Pakistan faced an enormous foreign policy failure recently when it was placed on the ‘grey list’ of the Financial Action Task Force (FATF), a global money laundering watchdog. The failure of our foreign policy is of such a catastrophic nature that even China abandoned Pakistan and supported India and the US in their efforts to place Pakistan on the list of countries considered high-risk and non-cooperative in terms of measures taken to stop terrorist-financing. Initially the FATF had decided not to place Pakistan on the grey list due to the opposition of Turkey, China and Saudi Arabia. This decision was supposed to be confidential and it was to be announced along with other decisions after the three-day ‘closed door’ conference was over. However, it is alleged that Foreign Minister Khawaja Asif, in gross violation of the confidentiality arrangement, tweeted the decision immediately after coming out of the session. This provided India with the excuse that was needed to show how untrustworthy the Pakistanis were, and in a very unusual move, a second meeting was called to reconsider the sanctions on Pakistan – the decision was then reversed. The restrictions will be applicable on Pakistan from June this year. The decision has shocked everyone and exposed the incompetence of those in power in this country. The enormous sacrifices rendered by Pakistan in the fight against terrorism have, alas, been ignored. According to a report published by the Nobel Prize-winning organisation, International Physicians for the Prevention of Nuclear War along with Physicians for Social Responsibility and Physicians for Global Survival, at least 80,000 Pakistanis have been killed in the war on terror. This report, from a neutral international organisation, should have been circulated among all the FATF members as proof of Pakistan’s commitment against terrorism and its enormous sacrifices. We should have also been aggressively pleading our case across the world and exposing India’s designs to promote terrorism within Pakistan through its several consulates in Afghanistan. The arrest of Kulbhushan Jhadav (a serving Indian Navy commander) provided concrete evidence of India’s involvement in our affairs. He was allegedly sent by the Research and Analysis Wing (RAW) of the Indian government to Iran (Chabahar Port) in 2013 to spy on Pakistan. But our former prime minister, Nawaz Sharif, did not even once mention Jhadav in his speeches in the UN or in his meetings with the foreign heads of states. The credit of the strong military action taken against terrorist groups and clearing the country’s northern area of many terrorist strongholds, goes largely to former COAS General Raheel Sharif and his successor, General Bajwa. Operation Zarb-e-Azb, conducted successfully under the leadership of General Sharif in North Waziristan against the Tehreek-e-Taliban Pakistan in June 2014, showed that Pakistan could clear its areas of terrorist cells given the determination and support. However, the National Action Plan (NAP), created on December 25, 2014 in response to the deaths of 133 children in the Army Public School attack, has largely failed because of a lack of interest and commitment of the provincial and federal governments. They seem to be too busy in other matters, including fending off charges of mega corruption. Meanwhile, our economic situation continues to deteriorate rapidly. The economy is buried under a huge loan of over $89 billion, and the international funding agencies are gleefully offering us further loans to accelerate the pace of our national suicide. China has been clearly frustrated in recent years by Pakistan’s inaction against terrorist groups operating in the country. It has repeatedly made this clear to our ministers and senior officials at various inter-governmental meetings. China’s requests for urgent action against terrorist groups in the country have fallen on deaf ears. The first indication that China was upset with Pakistan came in September last year at the Brics summit, where a formal declaration that stated that a number of militant groups were based in Pakistan and that the country posed a regional security threat, was approved. The fact that China was a partner to this assertion should have been taken seriously at the time, but nothing was done. The result is that we are now on the grey list and may well be placed on the black list – joining Iran and North Korea – if we continue to display our appalling incompetence and if Trump continues to have his way. This could have devastating consequences for our already struggling economy. China is clearly upset with Pakistan for lack of action against the Jamaat-ud-Dawa and Jaish-e-Mohammad, and other such groups which pose a threat to China’s security and economic interests in the region. The irregular meetings of the National Counter Terrorism Authority’s (Nacta) board of governors and their failure to set clear goals and allocate funds to achieve them, are indicative of the government’s failure to take the matter seriously. If Pakistan does not act now, it is inviting disaster. An important aspect that needs to be urgently addressed is the presence of 26,465 seminaries across the country, some of which are breeding grounds for radicalism. They need to be mainstreamed by introducing modern academic disciplines such as mathematics, physics, chemistry and biology as well as technical and vocational disciplines. These seminaries should be registered and properly regulated to ensure that all financing is done through banking channels. Terrorist financing is closely linked with corruption. Many politicians use the same illegal channels as terrorists to transfer their assets abroad. Therefore, there is reluctance on the part of the politicians to tighten the laws as it would block the routes politicians use to transfer their ill-gotten wealth. To prevent the arrests of such crooks, the police, FBR, FIA, SECP and other institutions have been corrupted deliberately by governments, by appointing cronies so that their loot and plunder could continue unabated. 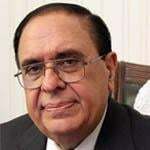 The main organisation, NAB, had been completely compromised and the Supreme Court of Pakistan was forced to comment on this dead organisation, which only came to life recently. As a result, we have a farcical democracy wherein politicians are determined to maintain the status quo so that they can continue feeding off the poor masses and pile up foreign assets worth billions. The only way to rid ourselves of the menace of corruption is to follow in the footsteps of China where capital punishment is routinely carried out to punish the corrupt. Comprehensive witness protection programmes should be introduced in the military courts and plea bargaining should be banned, so that politicians indicted in mega corruption cases are held accountable. The anti-corruption drive launched under the leadership of President Xi Jinping has resulted in hundreds of thousands of government officials being caught. Railways Minister Liu Zhijun was given a suspended death sentence in 2013 for accepting bribes equivalent to $9.6 million. Immediate actions need to be taken before we are placed on the ‘black list’. If our government continues to remain apathetic in this regard, then a dark future lies ahead for us.